Larry Harman died yesterday at 83 of congestive heart failure. He was not the original Bozo the clown but he did make the character what it is today and he is the one that got the character on television. He is the one that added the red puffy hair, the red nose and the red, white and blue costume. 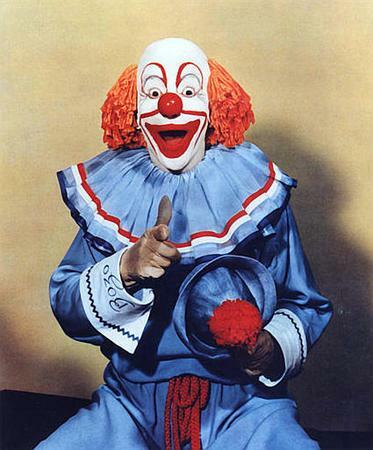 Larry played Bozo the clown for 50 years. His wife of 29 years, Susan Harman said that he was the perfect fit for bozo. "He was the most optimistic man I ever met. He always saw a bright side; he always had something good to say about everybody. He was the love of my life." It is so sad when you out live your partner after spending years and years together. Larry Harman will be missed and no other clown will ever replace him.